Temecula Preparatory School's FIRST Robotics Team (FRC), the DEM BOTS, won in alliance with team Code Orange and team Super Nurds, in the "2014 Battle at the Border" competition in San Diego. They beat out 27 other competing teams to win in the competition. The "Battle at the Border" competition is an offseason competition hosted by Francis Parker School's Robotics Team and took place this year on Oct. 25. This year's "Aerial Assist" competition was scored on how well robots maneuvered a three-foot exercise ball down the court, passing it back and forth, before shooting at a basket to earn extra points. 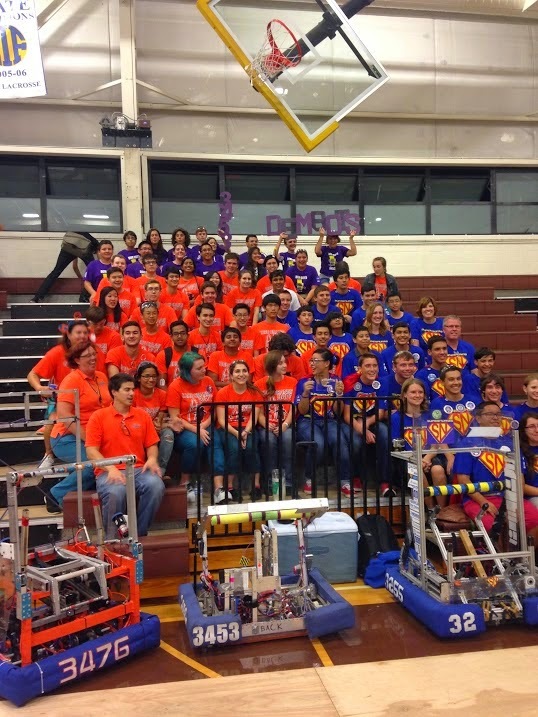 Temecula Preparatory School's Robotics team is currently in fifth place in the FRC. Their official season begins in April 2015.